How do I switch between courses? If you are in more than one course, you can switch between courses. 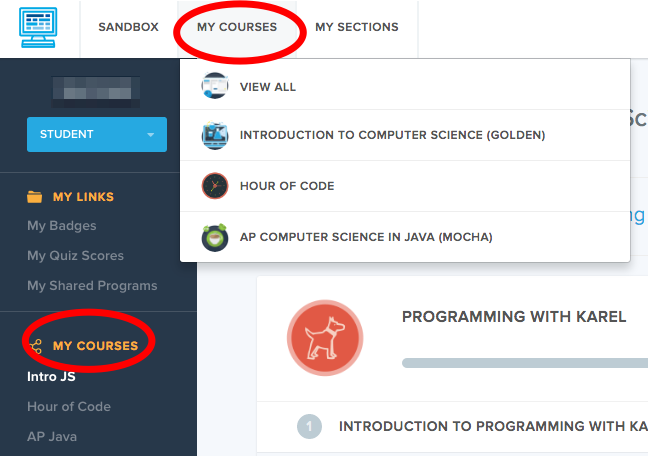 To do so, either click on the My Courses button at the top of the page, or choose a course from the My Courses list on your User Page.